Hello and welcome. I'm here today with another quick and easy make. 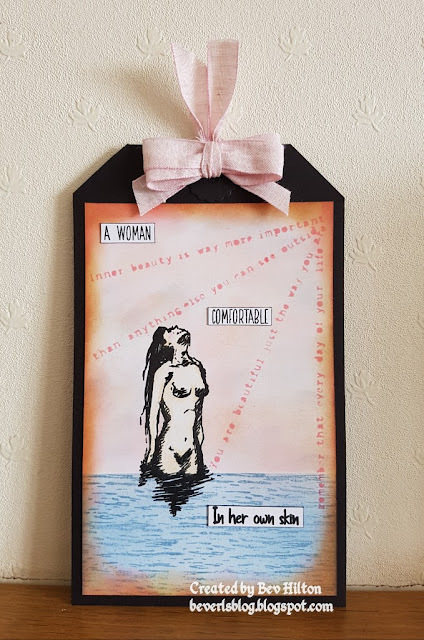 I just can't leave these stencils alone and always seem to find something to fill then with. 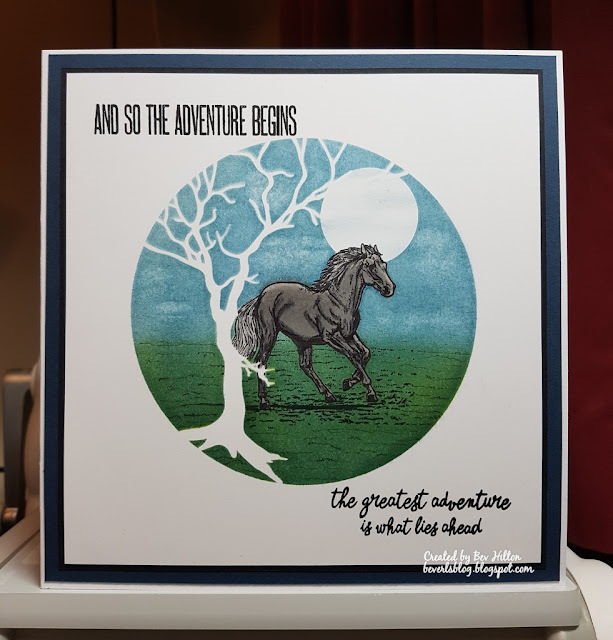 Today it is this beautiful horse by Stamp Addicts. I began by taping down the stencil with low tack masking tape. Place this onto a stamping platform and stamp the horse with the momento ink. I used this ink for the horse as I wanted to use alcohol markers to colour the horse. Stamp the horse once again onto masking paper and carefully cut out the image. Out of the waste I punched a circle to use in order to create the moon. Carefully place the mask over the horse and the circle to create the moon. Use the fine liner to create texture for the grass. Take the blending brush and brush mustard seed over the grass area. I used this colour so that I could brush the faded Jeans over the whole area creating the sky and the grass (the blue over the yellow creates a really nice shade of green). Once happy with the the colour, take a baby wipe and gently dab areas of the sky to create the look of clouds. Using a sponge gently push all the colour that has collected on the stencil onto the card. This saves waste and also gives a good sharp edge to the finished look. Carefully remove the stencil and the masks. Take your chosen colour of markers and colour the horse. I chose shades of grey for this image. Once happy take the words from the Tim Holtz stamp set and stamp it using Versafine ink in the top left corner and the words from the Visible Image stamp set in the bottom right corner. Trim the card to your desired size then mount onto black card. Mount this onto some blue card before mounting onto your white card base. I do hope you like it. That's all from me today. Enjoy the rest of your week and hope to be back soon.